We all know that keeping poultry is thirsty work! 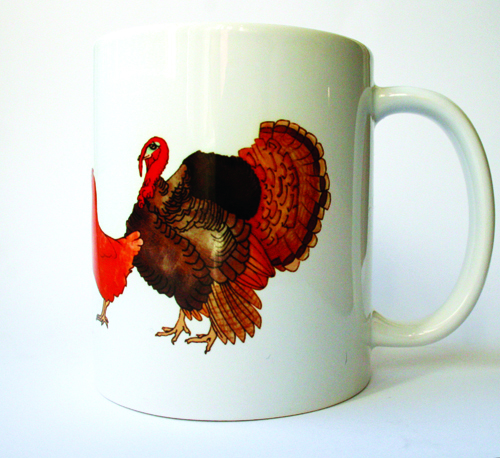 Keep yourself properly hydrated with this mug, beautifully decorated with an illustration by Sarah Brookes. 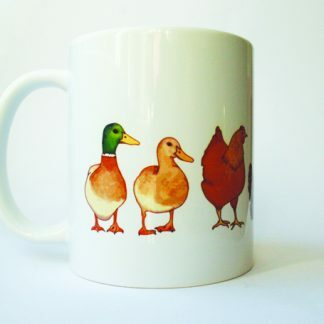 The artwork features 3 hens, a turkey and 2 ducks. 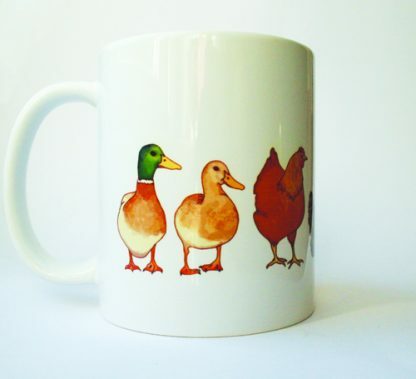 This dishwasher safe mug will be a wonderful addition to any poultry-lover’s kitchen! 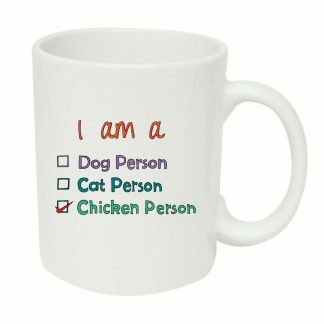 We all know that keeping poultry is thirsty work! You can keep yourself properly hydrated with this mug which is beautifully decorated with a hand-printed illustration. 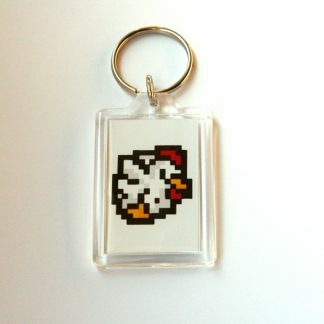 The artwork features a row of happy birds: three hens, two ducks and a turkey which are popularly kept as garden or backyard pets. 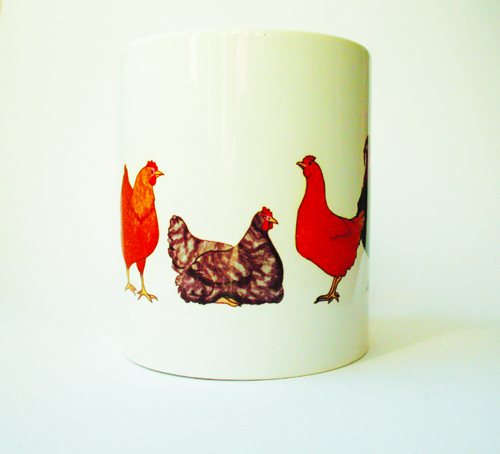 The centre hen is a Speckledy whilst the two hens either side are inspired by ex-commercial (ex-battery) hens. The chickens are nestled between a large turkey and male and female mallard ducks. 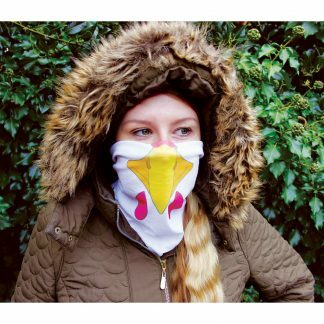 The colourful design is lovingly made to order. This dishwasher safe mug is a wonderful addition to any poultry or chicken-lover’s kitchen. 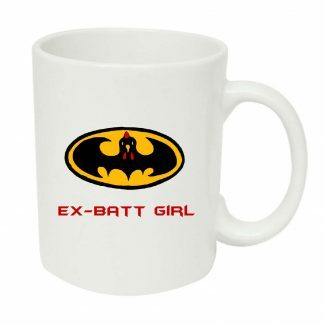 'Ex-Batt Girl' Chicken Keeper Mug Chicken Person Mug - for people who love chickens!